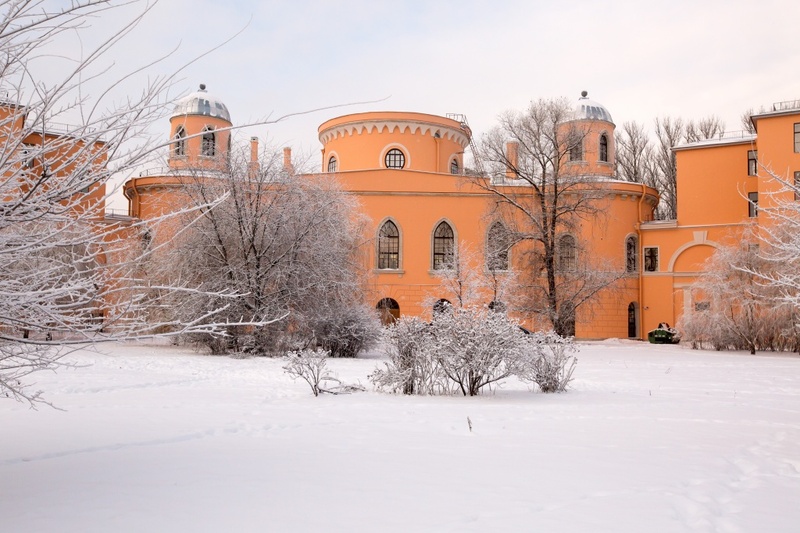 On January 25, 1941 the Leningrad Aviation Institute (LAI) was founded on the former premises of the Leningrad Road Institute (Gastello Street, 15) by the Decree of the Soviet Government. 1200 students were enrolled in three faculties of Aircraft Construction, Instrumentation and Motor Building. During the Great Patriotic War the Institute operated an aircraft and tank repair shop. While some of the students and the faculty standing for the city, the LAI was evacuated. 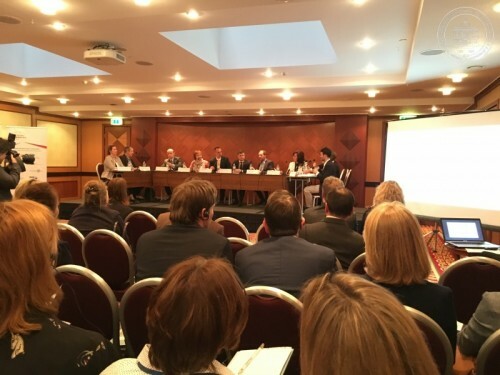 April 8, 2019 Renaissance Hotel held the Round Table within the Week of Germany in St. Petersburg by DAAD Information Center, German House of Science and Innovations (DWIH) in Moscow and German R&D Community (DFG). The Round Table brought together 20 Russian universities and 15 German universities to discuss Russia-Germany student exchange problems, attractiveness of St. Petersburg for international students, tools and strategies for academic mobility. SUAI was represented by the Vice-Rector for International Affairs Konstantin V. Losev and the Head of the DIA International Cooperation Sub-Department Yulia V. Makarova. The event opened with greeting speech by the Head of DAAD Information Center Beate Kolberg promoting scientific cooperation between Russian and German education to follow with DWIH and DFG presentations on R&D exchange and technologies. The Round Table dwelled on relevant issues of education and international cooperation answering current challenges. April 5, 2019 SUAI welcomed a Chinese delegation from Xi’an Jiaotong University (XJTU), a C9 member and a large R&D center. The delegation was greeted by the SUAI Vice-Rector for International Affairs Konstantin V. Losev, the Vice-Rector for Educational Technologies and Innovative Activities Vladislav F. Shishlakov, the Director of the Institute of Radio-engineering, Electronics and Communication Alexander R. Bestugin, the Director of the Institute of Entrepreneurship Technologies Arthur S. Budagov and the Deputy Dean of the Faculty of Law Mikhail V. Serbin. Konstantin V. Losev opened the meeting with the SUAI’s presentation on education and international experience with PRC. 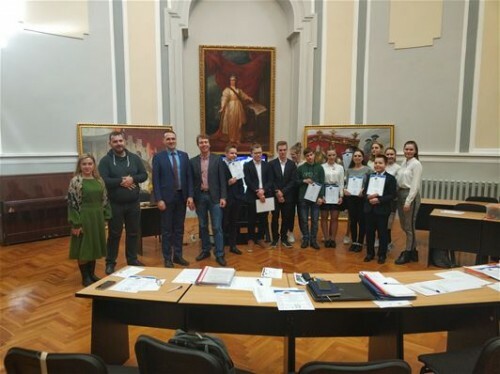 Alexander R. Bestugin and Vladislav F. Shishlakov, directors of SUAI’s technical education, spoke on research by students and staff of their institutes. Arthur S. Budagov and Mikhail V. Serbin described educational process in Business and Law programs. SUAI’s science and education leaders invited the guests from XJTU to participate in the University’s annual conferences and workshops. In the negotiations the parties found common points of interest, resulting in strengthening cooperation in education and science. March 28, 2019 SUAI became the venue for the City Conference on Space, Intellect and Creativity to promote space exploration among school students. Supported by Russian space communities, education committees and Moscow district administration, the Conference helps young students make their first steps towards R&D. The Conference develops scientific view of the world involving teenagers into research and projects guided by the Institute of Fundamental Training and Technological Innovations (FTTI) at SUAI. March 20, 2019 the ExpoForum of St. Petersburg hosted the XIX Ecology of Big City International Forum to bring together Russian industry promoting innovative environmental protection equipment and resource saving technologies. SUAI’s students in technosphere security participated in the Forum to see talks on development of high-tech environmentally friendly and safe production, nature conservation and improvement of the quality of life in big cities. Seminars and round tables within the Forum shared knowledge on technological and legal aspects of industrial processes and waste disposal for better ecology. The Forum gave SUAI’s students experience and new contacts for future internships. March 15-16, 2019 SUAI participated in the University of Future Forum to discuss modern science and technology environment, advanced technology spaces and science parks. The Forum answered questions on effective development of science parks in the region. The plenary session on innovative ecosystems included the speech by the SUAI Rector Yulia A. Antokhina promoting SUAI’s approaches in building ecosystems and interacting with technology and industry. Yulia A. Antokhina believes that educational process itself should be an ecosystem comfortable for students. March 6-7, 2019 Kazan welcomed the IV Pan-Russian Congress of UNESCO Departments – the international centers of science and education ensuring innovative processes in educational organizations. 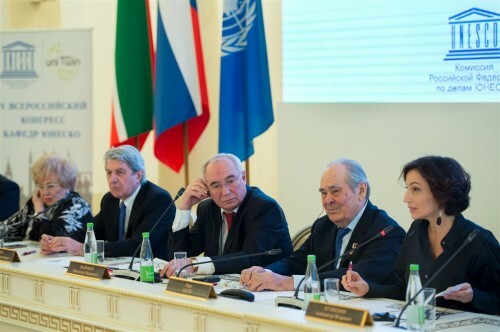 Today Russia is the home for 67 UNESCO Departments headed by the Coordination Committee. Pan-Russian Congress of UNESCO Departments works every four years to exchange experience and facilitate development of science and education. The IV Congress discussed Sustainable Development Goals within Education-2030 Program. Odre Azule, the General Director of UNESCO visited the Congress in Russia to choose the new Coordination Committee. The SUAI President and the Head of SUAI’s UNESCO Department Anatoly A. Ovodenko was elected to the Committee. SUAI took part in the II Interregional Forum ‘Strengthening of the International SME Alliance between the Russian Federation and the Countries of Latin America and the Caribbean’ within the St. Petersburg International Economic Forum 2017 (SPIEF’17) held on the premises of the St. Petersburg Expoforum. SPIEF’17 was attended by representatives of over 30 countries – Trade and Economy ministers, diplomats, state export officials, big business. Prior to the opening the St. Petersburg Vice-Governor S. Movchan had a meeting with the delegations of Latin America and the Caribbean. In the meeting the St. Petersburg officials discussed the topical issues with delegates from Cuba, Ecuador, Honduras, El-Salvador, Guatemala, Venezuela, Suriname, Panama, Uruguay, and other. At SPIEF’17 SUAI was represented by the Vice-Rector for International Affairs K. Losev and L. Kheyfets and V. Kheyfets of the SUAI Department of International Entrepreneurship to meet, among others, E. Zhikh, the Director of Russia-Latin America Business Center and sign an Agreement on Cooperation. 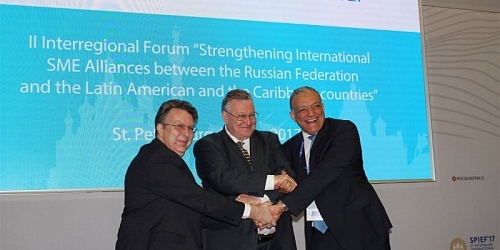 The Forum ended in signing an official protocol by A. Shchetinin, the Director of Latin America Department of the RF Ministry of Foreign Affairs A. Shchetinin and Carlos Ernesto Chanduvi Suarez, Chief of Latin America and the Caribbean Division, UNIDO. 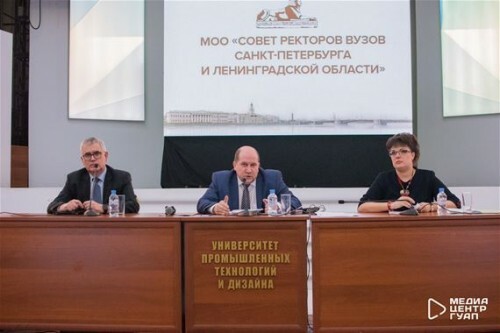 March 4, 2019 SUAI held the International Forum on Metrological Support commemorating 75th anniversary of Professor Vladimir V. Okrepilov, Doctor of Economics, Academician of the Russian Academy of Sciences. 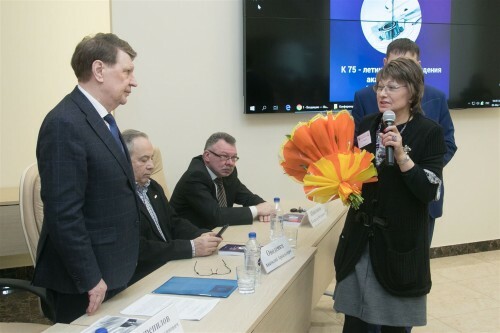 The SUAI Rector Yulia A. Antokhina and the SUAI President Anatoly A. Ovodenko marked the guest’s merits in developing Russian science and increasing cooperation between education and industry. In 2005 Vladimir V. Okrepilov opened the Department of Metrological Support in Innovative Technologies and Industrial Security at SUAI. Vladimir V. Okrepilov largely contributed to development of competences, discussed by the Forum. SUAI opens preparations for Young Professionals competitions (WorldSkillsRussia) in Aerospace Systems Engineering. Profile Institutes of SUAI will form student teams to work with SolidWorks Cad, braze radio equipment components, perform linear measurement, create programs in C++ etc. 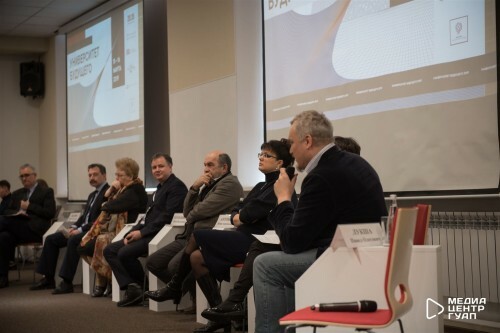 February 28 and March 1, 2019 St. Petersburg hosted the International Labour Forum with a round table on Higher Education Intellectual Capital in Continuous Education by SUAI. The SUAI Rector Yulia A. Antokhina, University experts and St. Petersburg administration discussed training models in education and career. “The university today shall teach about modern technologies and keep the educational process up-to-date. Although it is essential to understand that any higher education is just a base in personal development and young experts shall not cease to progress after they graduate”, Yulia A. Antokhina said. The round table talked on digital transformation and rapid increase of technological competences to provide better understanding between education and industry. 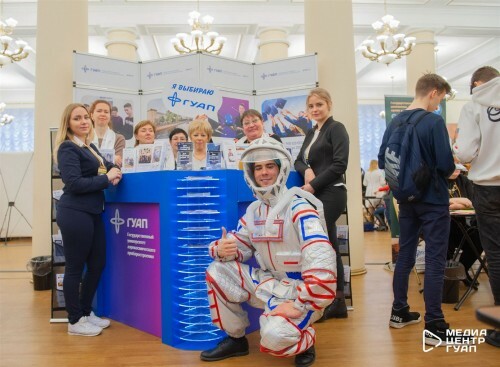 February 28, 2019 Vasilievsky Congress Hall hosted the 24th Education Horizons Exhibition of Education to help undergraduates choose a university to suit their needs. For universities it was an opportunity to enroll students providing them with detailed information on educational process. In the Exhibition students passed guidance tests and consulted psychologists to make the choice of their future education easier. Among St. Petersburg and Leningrad Region Universities SUAI’s stand traditionally aroused much interest. 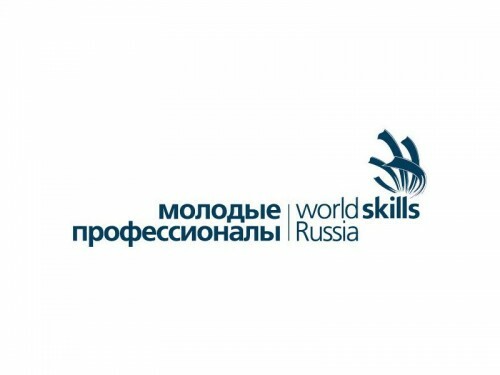 February 20, 2019 the SUAI’s Rector Yulia A. Antokhina participated in the Session of the Council of Rectors of St. Petersburg and Leningrad Region with a report on WorldSkills Russia approaches in the national education system. The SUAI’s Rector talked on cooperation between SUAI and the Young Professionals initiative promoting future competences to address current challenges for Russian education. The Session was also visited by the Vice-Governor of St. Petersburg Vladimir N. Knyaginin. For those attracted by the stage. Acting skills, stage speech, creative realization. The club of intellectual games, for those who can use their brains! Raising the sense of humor to the cosmic heights. Opening every secret of radio. Make yourself heard! Want to sing? Do it! We will teach you, help you, sing to you! The magic of movies, the magic of television. We can make anything! The secrets of true professionals. Reveal the extraordinary in the ordinary! All styles and techniques. Creativity with no limits. We know everything about music! Journalism, design, publishing. For those who have a word to say to the world! A dance? A sport? The cheerleader group! The choice of the beauties, the athletes and the talents! For those who cannot live without dance. Classical, folk, modern dance. We dance everything! For decades, SUAI graduates — leading designers, chief engineers, heads of large industrial enterprises — have been shaping the aircraft, the space and the instrumentation engineering.